Does your bathroom need something new, edgy and slick to update the design aspect of your charismatic style? Aquatica’s Bowl Ceramic Bathroom Vessel Sink, ticks off all the points of a contemporary, new vanguard and stylish design. The rounded and deep design of this bowl-shaped, ceramic vessel sink has been made in Italy and is available in a sleek, glossy white finish. Constructed using our elegant but strong and durable ceramic material. 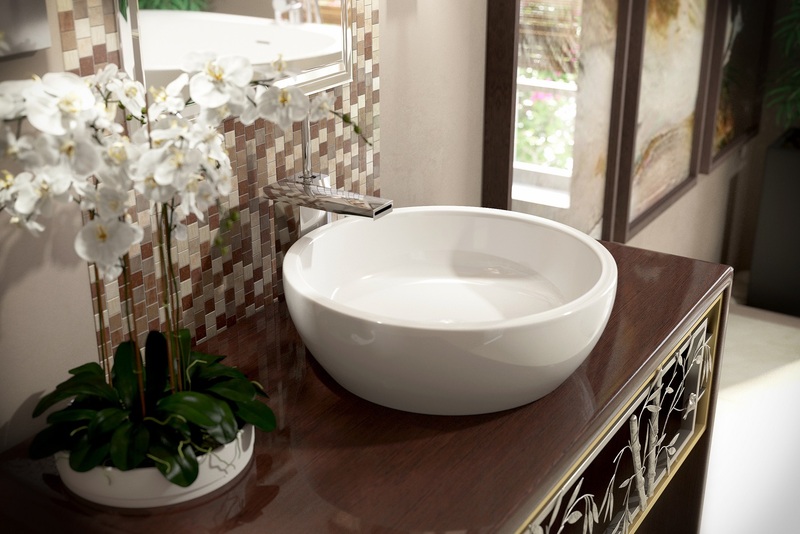 The stain resistant qualities and low surface moisture absorbency of this washbasin are functional and easy to clean. The Texture Bowl is a perfect match to our Purescape 720 Freestanding Solid Surface Bathtub, which is as modern and contemporary as this vessel sink. Big, beautiful and well made! Even better in person!